An estimated 40 marketers, sellers, and business experts flocked into Singapore Business Review's recently concluded Eminent Speakers Series: Best Practices to Reach Buyers in Today's World. Greg Moore, Managing Director, Huthwaite; Christel Quek, Regional Content Lead (Asia, Middle East, Africa), Twitter shared how to reach both online and offline buyers, as well as how to sell online and online effectively. Discussion about the best practices in B2B and B2B2C selling environment and the selling and buying behaviors were healthily tackled. Attendees walked away from the event with expanded knowledge of how to play wisely in the industry, thanks to the rich discussion that transpired between the panelists and other participants. Chris Reed, CEO and Founder of Black Marketing Asia moderated the panel discussion. 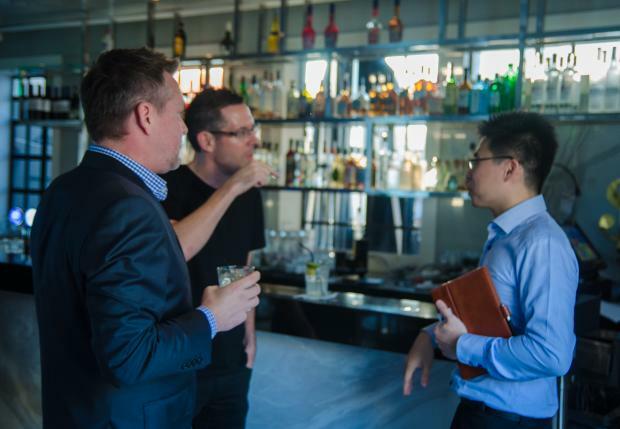 The Eminent Speaker Series was held on 18 June 2014 at The Club Hotel's Ying Yang Rooftop Bar.